Because of the wide array of swimming events offered, it is appropriate for a range of ages and ability levels. Swimming competition events are based on a variety of strokes. 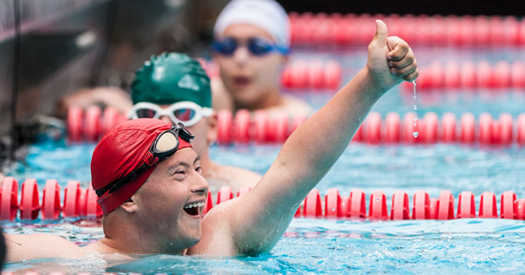 An athlete with Down syndrome who has been diagnosed with Atlanto-Axial Instability may not participate in Butterfly events, Individual Medley events, diving starts or diving.